What Vegetables Can I Eat on Keto Diet? You are here: Home / Healthy Diet / Ketogenic Diet / What Vegetables Can I Eat on Keto Diet? Keto diet is a popular low carbohydrate or nil diet plan with high intake of fat. The diet plan, trick your body to use body fat as a source of energy instead of using carbohydrates. While undergoing Keto diet plan, the low carb foods will be rich in protein. Ketogenic diet cleverly changes the body's dependability for energy, which generally takes it from carbohydrates. When the body is unable to draw energy from carbs, it turns to other sources and consumes body fats which in turn help to reduce weight loss. When you are into Keto dieting, the body changes to ketosis mode, which is a natural process of the body for survival and starts to produce ketones. During the process, the liver converts fatty acids to ketone bodies and the ketones will become the new source of energy in the body. Keto dieting helps you to reduce unwanted weight, and also beneficial to manage type 2 diabetes, reduce blood sugar level, enhance mental focus condition, lower blood pressure, low appetite, improved heart health, and many other health benefits. As a benchmark rule, before you start Keto dieting, it would always be better to consult with your doctor. Keto meal plan is not a preferred choice for people who are suffering kidney or liver diseases. People suffering from gastrointestinal disorders also should desist from doing Keto dieting. Before you start a Keto diet plan, you will have to plan it systematically. You should give proper planning for the diets, and it should be related to how fast you want to convert your body to a ketogenic state. You should not take too many carbohydrates that are coming mostly from nuts, vegetables, and dairy products. You must also avoid all refined carbs like bread, cereals pasta or tubers like sweet potatoes and processed food, which have high carbs. Fruits like oranges, banana or apple will come into this list naturally. The foods like honey, maple syrup, and agave that have high calories are not ketogenic and hence avoided. Meats of beef, fish, lamb, etc. Bell pepper, green bean vegetables is included here as low carb vegetables. 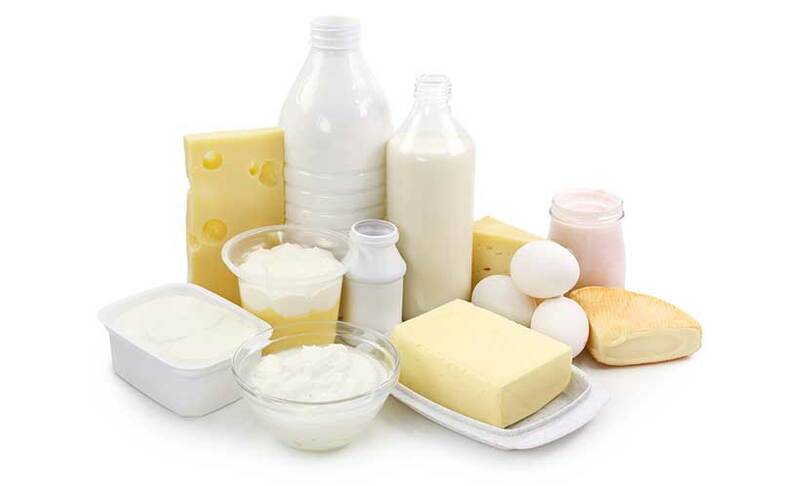 High- fat dairy food products like high fat cream, hard cheeses, butter, etc. 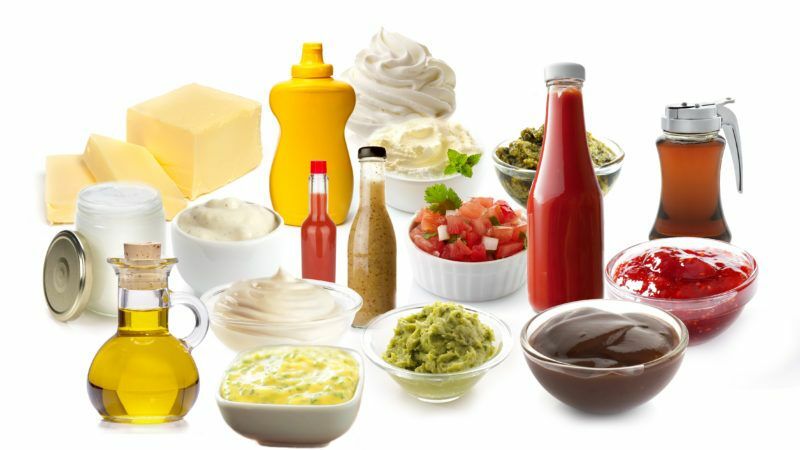 Foods like high-fat salad dressing, coconut oil, saturated fats, etc. It will always be challenging to select the right Ketogenic grocery. The following list of Ketogenic grocery will help you to choose the right groceries. The list contains, meats, dairy, oil, and fats, vegetable and fruits, sweeteners and baking supplies, condiments, spices and herbs, drinks and liquids, etc. Pay attention while shopping these items to have high fat and a moderate level of protein. The protein content should be of high quality and hence look for grass-fed meat items and fatty wild fish. Consumption of chicken and pork should be limited, as it is less likely to raise properly. Also avoid consuming processed meats, as there are chances to have added ingredients like carbs and sugar. Check the fat and oil before you consume. Many oil and fat contains more than the accepted level of carbohydrates. Therefore look for low carb oil and fats. 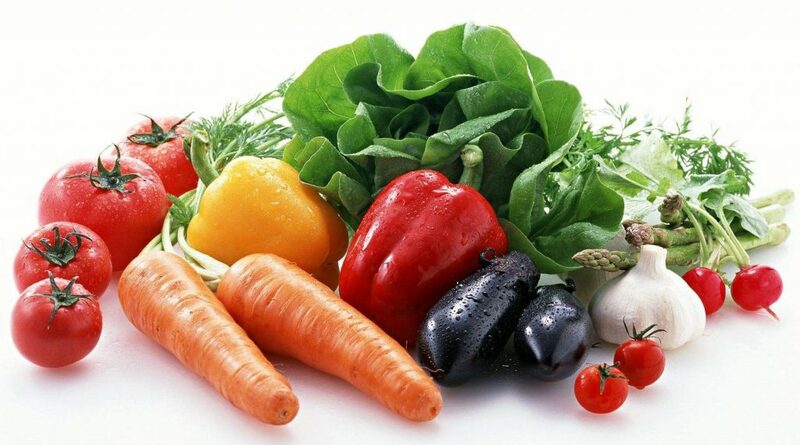 In the grocery list, you can find low carb vegetables, which will help you to keep healthy and meet the fiber requirement. You have to be mindful that many vegetables do have sufficient amount of carbs, hence select those are less in carbs. In the fruits section, berries and avocado are ideal than any other fruits. Check the carbs level of these items before you purchase these products. It will be better to limit the use of these items, as they have no nutritional values and not suitable for Keto diet food. Homemade condiments are good than packed items. However, if you are buying condiments, check their ingredients and only condiments which are less in carbs. Look for organic dairy products. Dairy products are rich in fat, and if you are not allergic to dairy products, you can add that to your shopping list. All pure and natural herbs are good but make sure they come with any added synthetic ingredients. Raw milk with full fat is acceptable in small quantity. If you are consuming plant-based milk, then it shouldn't have carrageenan or any other additives. Steak, prime rib, veal, roast beef, baby back ribs, corned beef, ground beef, stew meats, hamburger. Salmon, trout, catfish, tune, mahi-mahi, halibut, markerel, bass, cod, sardines, orange roughy, tilapia, clams, haddock, anchovies, shrimps, lobster, scallops, crabs, Oyster, clams, mussels. Chicken, duck, quail, wild game, turkey, Cornish hen, chicken broth, turkey sausage, turkey bacon. Salami, prosciutto cold cuts, pepperoni. Pork loin, ham, bacon, ground pork, pork chops, tenderloin. Raw-heavy creams, mayonnaise, sour cream, full-fat Greek yogurt, kefir, ghee, raw-whole milk, butter (grass-fed). Macadamia nuts, hazelnuts, almonds, pistachios, pecans, walnuts, pumpkin seeds, sunflower seeds, sesame seeds, chia seeds, flaxseeds. Kale, leafy greens, spinach, bok coy, radicchio, bean sprouts, brussels sprouts, broccoli, romaine lettuce, onions, garlic, asparagus, bell peppers, celery, kohlrabi, Portobello mushrooms, white mushrooms, zucchini, spaghetti squash, black olives, green olives, cabbage, cauliflower, okra, leeks, snow peas, Artichokes, etc. Kimchi, pickles, natto, sauerkraut, kefir, salsa. Mulberries, avocados, blueberries, strawberries, cherries, cranberries, raspberries. Brown mustard, yellow mustard, mayonnaise, low-carb salsa, hot sauce, horseradish, sugar-free ketchup, coconut aminos, soy sauce, low-sugar high-fat salad dressings (blue cheese), Worcestershire sauce, lime juice, sugar-free syrup, lemon juice. Oregano, thyme, oregano, rosemary, cilantro, basil, chili powder, cinnamon, cumin, cayenne, pepper, nutmeg, salt, pepper. Unsweetened coconut milk, raw milk, almond milk, unsweetened coffee or tea, sugar-free heavy creamer, unsweetened cashew milk. Keeping the grocery list will help you to select the right choice of low carb ketogenic grocery items, which will work like a shortlisted item. Once you familiarize with the listed products, it will make easy for shopping. 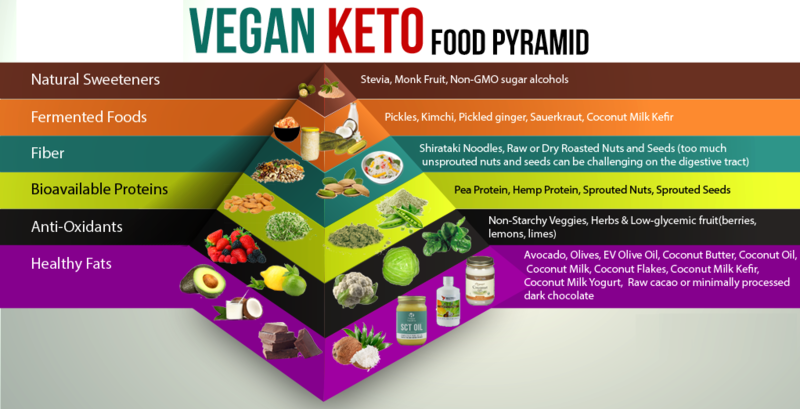 Vegan Keto dieting, sometimes not suitable for all types of people, especially individuals suffering from obese, type 1 & 2 diabetes, Alzheimer's disease, Parkinson's disease, and epilepsy. However, Keto food will be helpful for people suffering from these conditions. However, vegetarian Keto diet is good for people who suffer from climate changes, animal food allergies or aversion and health issues. Some people feel very healthy and comfortable while consuming low-carb non-veg foods, especially animal meats or dairy products, whereas some individuals feel much better on high-carbohydrate vegan diets. So what is the best solution for people who want to stick on vegan Keto diet? For people who want to stick to vegan Keto dieting and get rid of animal suffering and improve the overall health condition, stick to the following rules. Should not take carbs more than 35 grams per day. Avoid all types of fish, animal, and all animal products. Add more low-carb vegetables in the diet. Consume plant-based fats and make sure to have more than 70% of plant fat. Make sure to consume 25% calories from plant-based food proteins. Consume supplements to meet the vitamin deficiencies, such as B12, D3, B6, Iron, Taurine, Zinc, and DHA & EPA. It may look like hard to limit the intake of cabs when you are in the ketogenic diet. The best way to control the intake of carbs during a vegan Keto diet is to restrict the consumption of carbohydrates by selecting vegetables that are less or nil in carbs. Avoid the following high carbs in your diet. Grains – rice, corn, cereal, wheat, etc. Legumes – black beans, peas, lentils, etc. Sugar – maple syrup, honey, agave, etc. Fruit – bananas, apples, oranges, etc. Roots – yams, potato, etc. The benefits of a keto diet are enormous. You have to stick to a sustainable Keto diet plan on a long-term basis, for accomplishing weight loss plan. When you stick to Keto diet plan, the body will transform into a ketosis mode, and instead of using glucose for energy the body will start using fat for the energy source to meet the metabolic activities. The significant focus should always be to keep less or nil carbohydrate intakes. Cashews, pine nuts, and pistachios have high carbs hence consume less quantity or occasionally. Coconut butter, macadamia nut butter, tahini, sunflower seed butter, walnut butter, hazelnut butter, pecan butter. Avocado oil, coconut oil, hazelnut oil, olive oil, MCT oil, almond oil, cocoa butter, flaxseed oil, walnut oil, macadamia nut oil. Arugula, bell peppers, artichoke hearts, asparagus, broccoli, bok choy, cabbage, celery, cauliflower, collards, cucumbers, chard, dandelion greens, daikon radish, eggplant, fennel, endive, fiddleheads, lettuce, mustard greens, mushrooms, okra, squash (summer type), turnips, zucchini, rhubarb, radishes, spinach, shallots. Beets, Brussels sprouts, carrots, celeriac, kale, jicama, onion, rutabaga, squash (winter type). These items have little more carbs, hence consume occasionally. Avocado, lemon, cranberries, lime, raspberries, strawberries, tomatoes, olives, coconut. Baking powder, cocoa powder, almond flour, baking soda, hearts of palm, glucomannan powder, coconut milk, coconut flour, nutritional yeast, vanilla extract (with low sugar), jackfruit (green or canned in brine), Psyllium husk, artichoke hearts, dark chocolate (low sugar). Micro-greens, all types of sprouts, apple cider vinegar, pickles (sugar-free type), Yogurt (dairy free - unsweetened), cheese (dairy free), seitan. All these have high carbs; hence it should occasionally be consumed. Tofu, Tempeh, Seitan are rich in protein. Nori sheets, kelp flakes, kelp noodles, herbs, spices, roasted seaweed snacks, shirataki noodles, Edamame. Mustard, chili sauce, hot sauce, soy sauce, coconut aminos, tamari, tomato sauce, vinegar (balsamic, white wine, rice wine), wasabi paste. Cauliflower rice, meat substitutes, frozen vegetables, wink frozen desert, frozen berries. Halo Top Dairy Free Dessert (It has high carbs; hence you may consume less). Julian Bakery Pegan Bars, Vega Sport Protein, Garden of Life RAW, Sun Warrior Classic Plus, Nugo Slim Vegan Bars, Vega Clean Protein, Plain hemp protein powder, Plain soy protein powder, Plain pea protein powder, Sun Warrior Blend. Raw Revolution Glo Bars. It has bit higher carbs; hence its use should be limited. Chlorella, Moringa, Turmeric, Amla powder, Spirulina. Beetroot powder. It has high carbs, hence do not consume regularly. There are some starchy vegetables like squash, potatoes that are too high with crab contain. Likewise, some of the fruits high amount of fat. Keto diet plans have both good and bad effects, as it readily changes the whole system of the body. When planning your ketogenic diet, you should be careful about the ratio of the Keto diet. Your carbs intake should be less than 10 percent or nil. You can consume about 15-25 percent calorie and the remaining you can have from fat. Keto meals help you to reduce unwanted weight and keep you stay fit. Apart from weight loss management, it has a lot of medical benefits. Keto dieting is not just dieting, but it is a way of life, which required conscious effort to maintain the dieting.